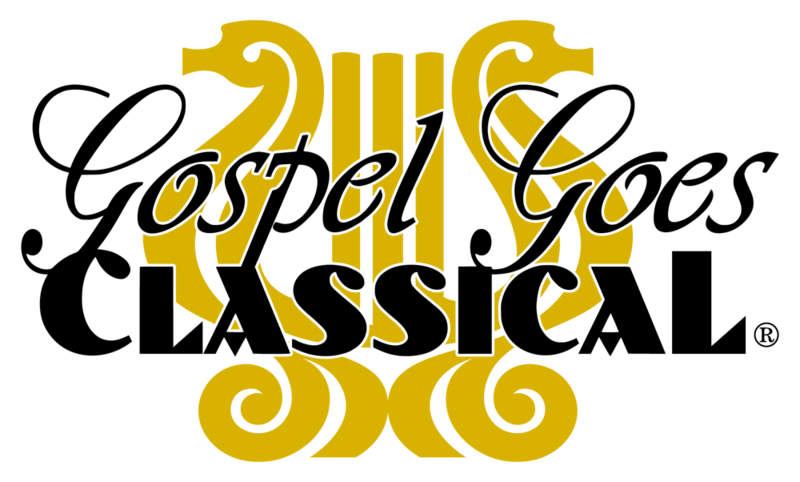 Gospel Goes Classical is thrilled to announce its exclusive Merchandising for purchase. Gospel Goes Classical is thrilled to announce that it will display its full line of 2018 merchandising at Gospel Goes Classical Orlando June 9, 2018 Calvary Assembly. Gospel Goes Classical display will include Gospel Goes Classical 14 Oz. BPA Free Stainless Steel Tumbler, Gospel Goes Classical Blanket, Gospel Goes Classical Folding Umbrella, Gospel Goes Classical Gildan® Heavy Cotton™ Classic Fit Adult T-Shirt – 5.3 Oz. – White, Gospel Goes Classical Grocery Tote Bag With Reinforced Base, Gospel Goes Classical LED Touch Light, Gospel Goes Classical Mini Portable Bluetooth Speaker and Gospel Goes Classical Structured X-tra Value Cap. These items will be displayed at the Gospel Goes Classical booth for purchase or you may purchase on http://gospelgoesclassical.com/shop/ web store. 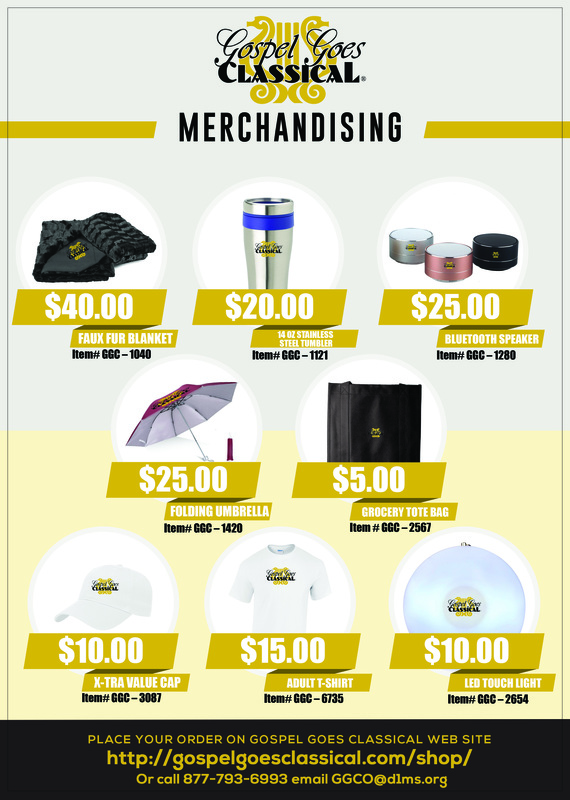 Gospel Goes Classical mission is to provide Gospel Goes Classical fans with quality merchandising at Gospel Goes Classical concerts and online orders that will increased sales and product marketing support.